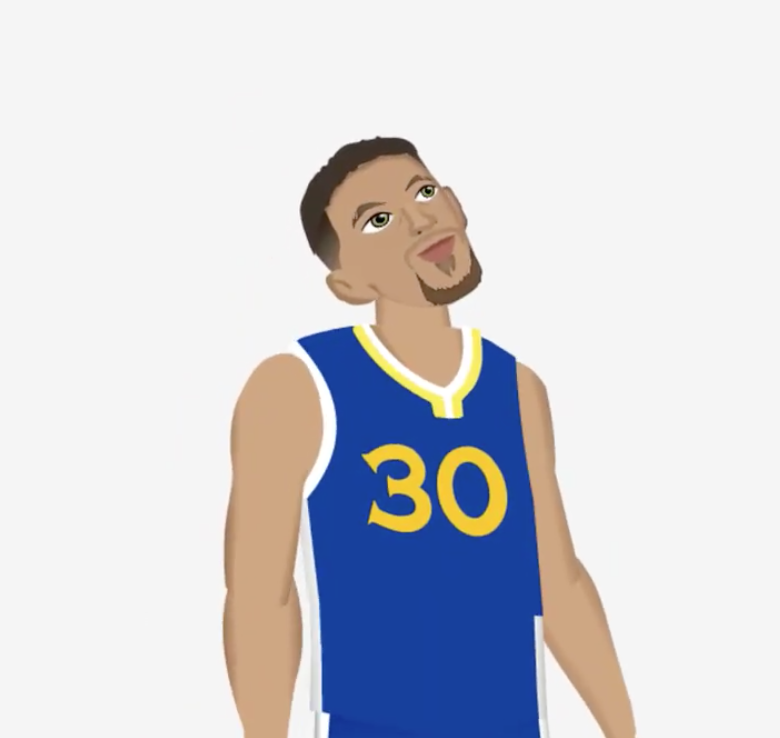 Have you been wanting Steph Curry in your phone? What about his family? Can't get enough of unanimous MVP Stephen Curry? 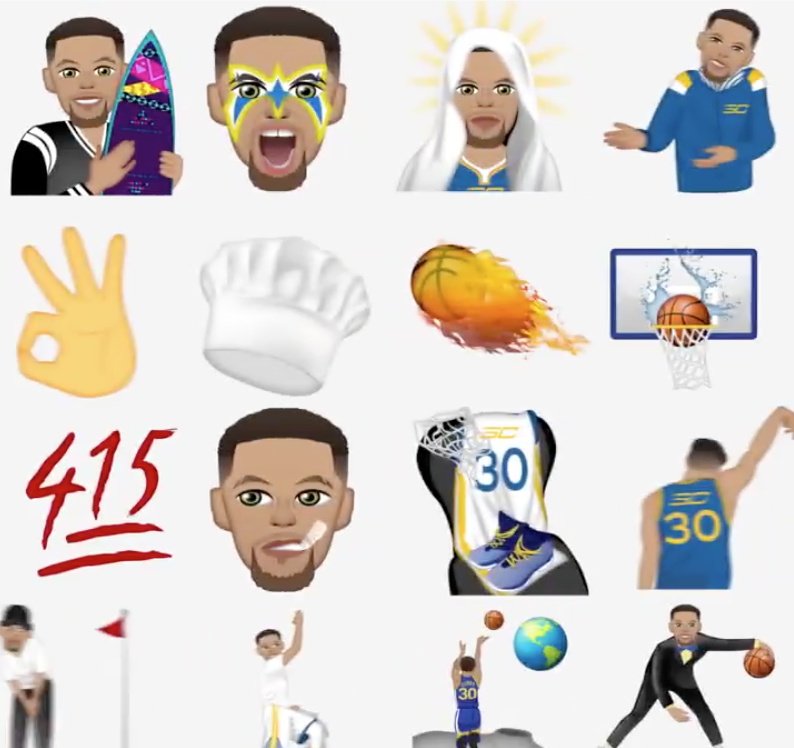 Luckily for you, the Golden State Warriors superstar can now be 100 percent embedded in your phone. 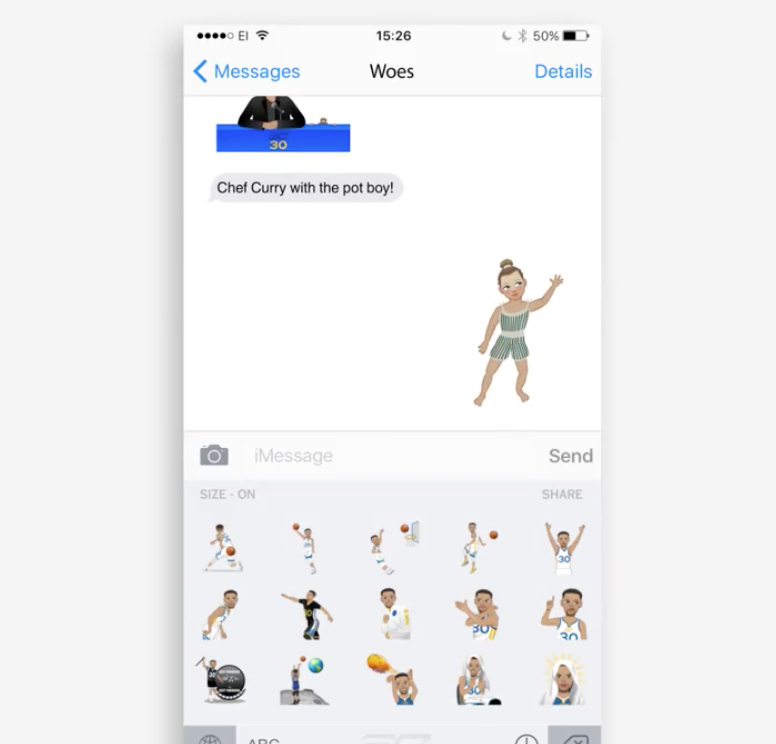 Much like Kim Kardashian's own emojis that allow you to throw blank stares into your text messages to fans, Curry can be celebrating and dancing all over your phone. 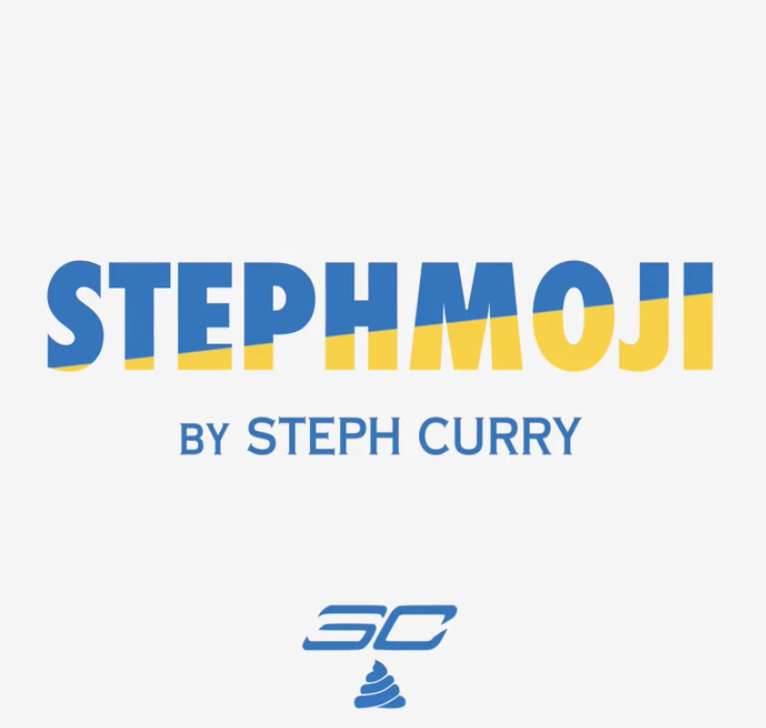 He tweeted out a video of the StephMoji's earlier today and there is a lot going on. There look to be a lot of emojis including Steph, his wife Ayesha, and his daughter Riley Curry, who can be all over the text press conferences you have with friends on your phone. Let's take a better look at what is shown in the video. 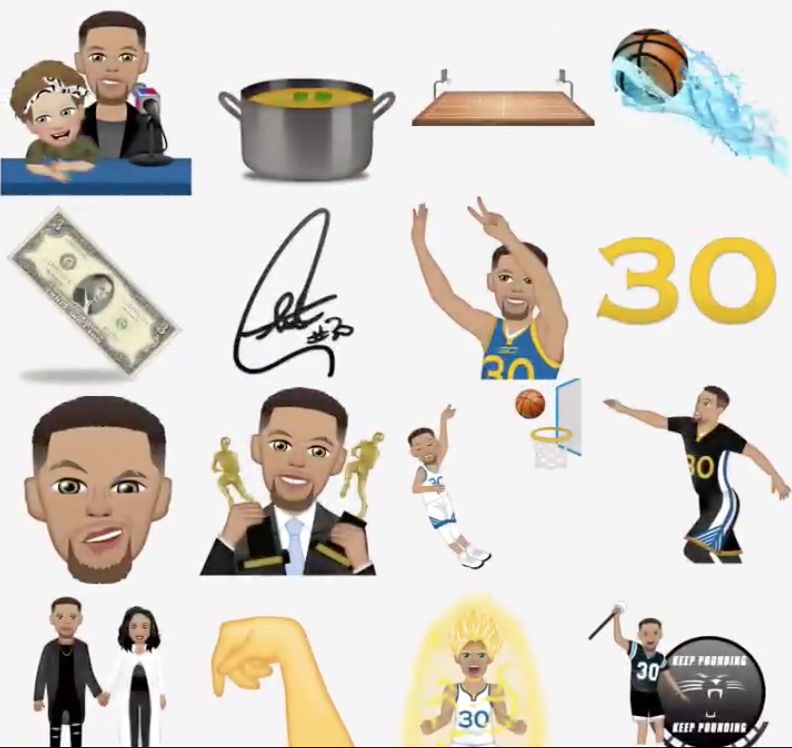 The opening shot on this video is just your basic StephMoji art, your SC symbol for Steph Curry, and what looks to be a blue poop emoji. Maybe it's blueberry frozen yogurt, but that pretty much looks like the poop emoji to me. 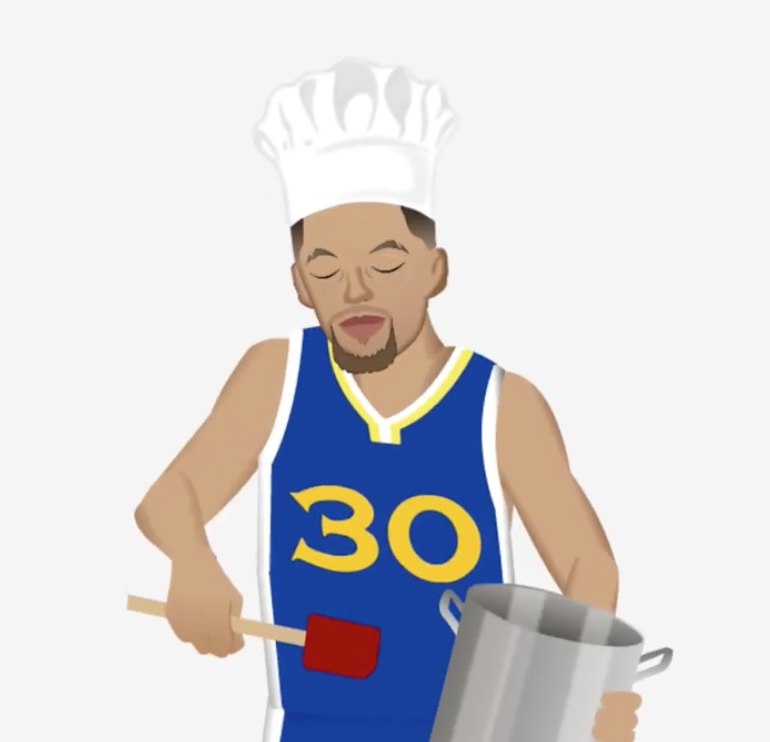 Your requisite Chef Curry emoji, but this guy is dancing around and cooking up a storm. I guess we can thank Drake for making this a thing. This is the shimmy Steph after he hits a big 3-pointer or throws an incredible pass for a dunk and the foul. These moving emoji's could be the next step in SkyNet becoming self-aware in a few years. For now, they're just dancing all over your phone. This is Steph shooting a jumper. His jump shot looks as beautiful as anything we've ever seen on a basketball court. Maybe you could argue Ray Allen or Klay Thompson has a prettier shot but it's highly debatable. 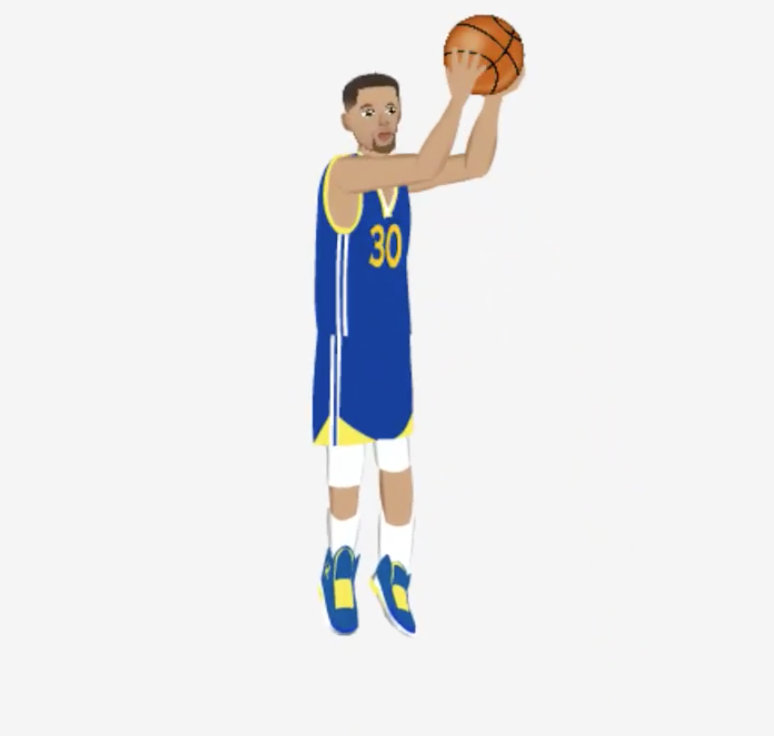 This emoji of Steph shooting a jumper looks nothing like that. It looks like he's either trying to shoot with his left hand or going for a reverse dunk. Hey, it's dancing Riley Curry! You can't escape her in any way on the internet or with any piece of technology. She's everywhere now. 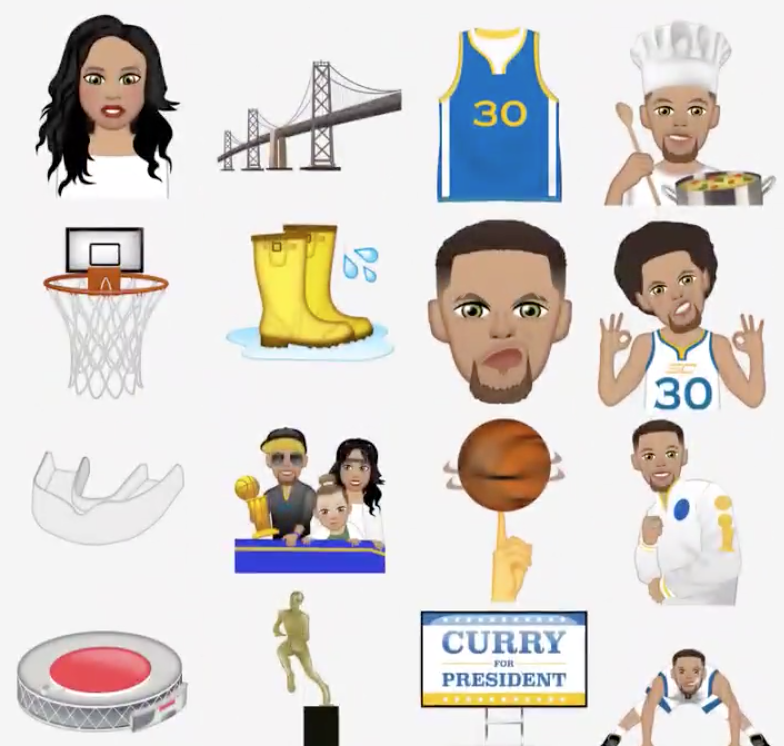 We have Steph surfing, Steph in Ultimate Warrior paint, Steph as Mother Theresa, Steph dancing a bit, the 3-point symbol, the chef hat, a fire basketball, either the basketball shattering the backboard or splashing the backboard, the 415 emoji which is also the area code for San Francisco, Steph chewing his mouthguard, Steph's gear on his chair in the locker, Steph holding up the follow-through, Steph golfing, Steph Bazemore'ing, Steph shooting from the movie, and Steph as a secret agent dribbling the basketball. Ayesha Curry, the bridge, Curry jersey, more Chef Curry, a gigantic basket, rain boots, Steph sneering, Steph growing out his hair, the mouthguard, the Curry family celebrating the title, spinning the ball on his finger, Steph leaning back in his warmups, Oracle Arena, the MVP award, Curry announcing his presidential candidacy, and either Steph doing yoga or slapping the floor on defense. 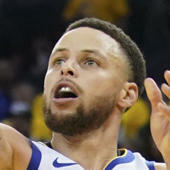 Steph and Riley at a presser, a stew in a pot, a basketball court, a wet basketball, currency with President Curry on a 3-dollar bill (I guess he won the presidential race), his autograph so you can forge documents, Steph holding up 7 fingers, his number, Steph sneering some more, Steph with both MVP awards, a left-handed floater, Steph stretching in his sleeved jersey, Steph and Ayesha on date night, the follow-through up close, Curry on fire, and Curry being a Carolina Panthers fan. I don't imagine many Cleveland Cavaliers fans will download this.